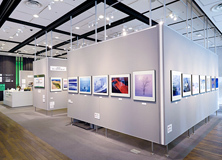 FUJIFILM SQUARE features a wide range of photo exhibitions and a photo salon. The nearest station is Roppongi station which is served by the Chiyoda and Oedo lines. Offers weekly exhibitions of magnificent photos featuring a variety of themes. Showcases rare antique cameras and Fujifilm's past cameras, offering visitors an opportunity to learn about the evolution of photography and cameras. Lets you enjoy the hands-on experience of Fujifilm's digital cameras and other latest products. From June 1 to August 31, 2019, the Photo History Museum at Fujifilm Square will mount an exhibition of works by the photographer Seibei Kajima, who was active in the Meiji period (1868—1912). The exhibition is the first in Japan to introduce the career and achievements of Kajima, the “Millionaire Photographer,” who contributed much to the world of photography in Japan. 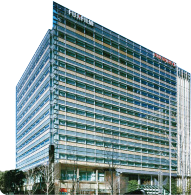 The FUJIFILM SQUARE showroom is located in the Tokyo Midtown complex in the Roppongi district of Tokyo. 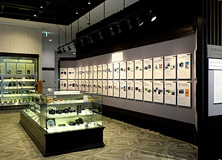 The showroom features the Photo History Museum where visitors can learn more about the history of cameras and photographs, as well as a retail outlet with a wide range of skincare and supplement products. *Information on other facilities might be changed. Please confirm pertinent information linking ahead.